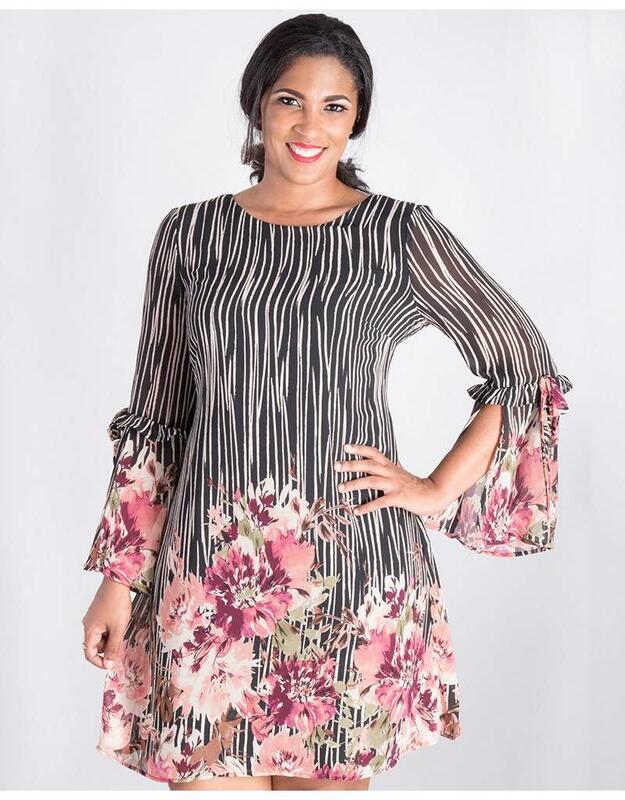 Be a vision of flawless style and grace in this contemporary print dress. 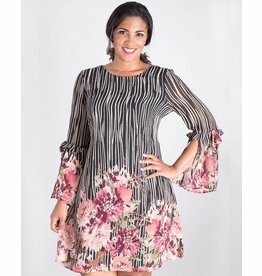 This dress features a round neckline, three quarters bell sleeves with an ruffle accent at the elbow. 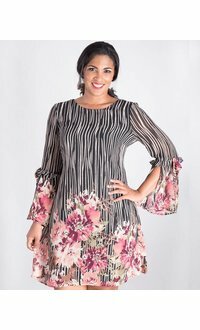 The easy shift silhouette of the dress floats easily along the length of the body adding to the ease and charm of this great dress. Add a clutch and necklace set from our wide range of accessories to complete your look.